Balmain Engineering is a quality engine reconditioning service. About 2 years ago we came across a mechanic who specialised in Porche 356 cars who worked around the Hornsby area who was looking for a quality engine reconditioning service but all the other engine re conditioners he has worked with did not meet the standards of his job. 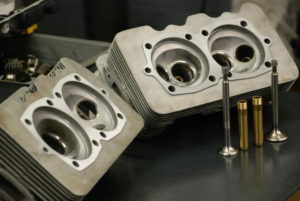 For this reason he had no other option but to send his cylinder heads to the U.S.to be repaired.